31 Jul What is a property encumbrance and how does it affect the sale and purchase of your property? What is a property encumbrance? Like people, every property has its own history – and, depending on its history, there could be the proverbial skeleton or two lurking in the cupboard of the property’s title. Having the title to a property simply means you have certain rights to the property – and sometimes those rights come with a ‘baggage’ all of their own, hence the famous expression of “buyer beware” that applies to all property transactions. In a property market as hot as ours, especially in Auckland, many properties end up being sold at auction. In this situation, there’s always a risk that the buyer will end up buying a property with title problems that they may not be aware of up front. For example, you may suddenly find that the garage that has been converted into a bedroom and a second bathroom in the property that you’re bidding on doesn’t have the right permits. Once the hammer goes down and you’ve bought the property, you’ve also bought the issues that go with the property’s title. Of course, finding out ‘title defects’ is not only limited to properties that are bought and sold at auction. There can be defects lurking in any property’s title – the secret to the success of your property transaction is to be able to find out what these might be before you buy, so you can make an informed decision about your property purchase. 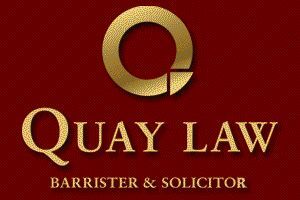 The best person to help you do so is your Auckland conveyancing solicitor at Quay Law. So, the important thing when you purchase a property is to make sure you know exactly what rights (or lack of rights) come with the title to that specific property. Of course, what you really want when you purchase a property is to have ‘clear title’ to that property – in other words a property title without any ‘encumbrances’. If it turns out that your new property has an encumbrance on its title, it could cost you a fair bit to get it sorted and, in some cases, you may be permanently stuck with the effect of the encumbrance. All of this is yet another good reason for getting your Auckland conveyancing lawyer to check the property title before you sign the sale and purchase agreement. What exactly is a ‘property encumbrance’? An encumbrance is a restriction or limitation, such as an easement, mortgage, covenant, change or other liability, on the title of a property that impedes its use or transfer by giving someone else an interest or right in that property. Sometimes it may be possible to get a specific encumbrance removed, but sometimes this may not be possible, and this could have serious consequences for the future value of the property. Encumbrances on a property’s title can also make it difficult to get a mortgage, because a bank may be hesitant about lending you money to buy a property subject to an encumbrance that could affect its future value. For example, you may discover that the front 5m of your lovely new property is actually within the road reserve and you simply have an easement on that part of the land, giving you the ability to use it but without giving you any rights to actually own it. All good and well of course, until the local authority decides to widen its road, at which point it will take back ownership of its land, and your front garden will suddenly be 5m shorter. An easement is a common type of encumbrance and may cover things such as allowing gas, water or sewerage to flow through the property – these types of encumbrances are often granted to local authorities or utility companies. Other common easements include things like drainage (giving someone the right to drain water over someone else’s land) or ‘rights of way’. Owing to the fact that an encumbrance can have binding effects on subsequent owners of land, local authorities often use encumbrances as a convenient way to ensure landowners comply with certain consent conditions, such as, for example, restricting any further sub-division of a piece of land. A covenant is another type of encumbrance that places some type of restriction on the use of the land, such as restrictions on the type or quality of buildings constructed or on the size of the floor plan. This sort of covenant is common in new developments, as a way to ensure that properties maintain a certain standard or level of uniformity. Other examples are height restrictions that may protect a view or limit the height of a tree. While land covenants can be restrictive, they may also mean that the property to which the covenant applies will be more valuable, particularly for future resale. So, while an encumbrance has the potential to lessen the value of a property, in some cases the specific encumbrance can have more positive long-term implications. However, irrespective of whether the effect of an encumbrance is positive or negative, it is critical when purchasing a property that you ensure you do your due diligence on the title of the property in question. Obtaining a search of the title to investigate what encumbrances, if any, need to be attended to prior to settlement is something that your Quay Law conveyancing lawyer will include in their conveyancing service. Their search of the title will alert you to any encumbrances, such as easements, covenants, rights of way, and so on because, if such an interest has been registered over the property’s title it will, unless released before transfer of the title to you, continue to affect the property (and you) after the purchase. For more information on the conveyancing process or if you have any particular question and a property encumbrance, please contact your conveyancing solicitor at Quay Law without delay.